Elohim - Singular Or Plural?
" E L O H I M "
Does Genesis 1:26's use of the plural Name ELOHIM and use of plural pronouns prove a plurality of eternal persons in the Godhead? We ask our Trinitarian friends to stop using Elohim to support their doctrine. This argument is not compelling and it is not being used by the top Trinitarian scholars anymore. Frequently the word Elohim (the Hebrew word for God) is used to assert that God is plural. Naturally, this occurs because the word Elohim is plural in form. In Hebrew the “-im” ending indicates a plural like the “-s” ending in English. However, language is a tricky thing. Sometimes one will come across a word that ends in an “s” but is not plural (like “news”). The same occurs in Hebrew. Even so, rather than make the case myself (since my understanding of Hebrew is very limited), I have found several excellent Bible dictionary entries that make the point very well. Please note that most of these entries were written by people who believe in the Trinity, but even so, they do not use the plural form of the word Elohim to make their case. Also see other "More Articles By Voy Wilks"
[PDF] "Let Us Make Man ..."
Does This Prove a Triune God? A typical example of the many word games Trinitarians and others use as they endeavor to promote their false god. Adapted from The Journal of Hebraic Renewal, which reprinted it from Focus on the Kingdom magazine. Numbers 6:22-27 "And Yahweh spoke to Mosheh, saying, "Speak to Aharon and his sons, saying, ‘This is how you bless the children of Ysryl. Say to them: Yahweh bless you and guard you; Yahweh make His face shine upon you, and show favour to you; Yahweh lift up His face upon you, and give you peace." "Thus they shall put My Name on the children of Ysryl, and I Myself shall bless them." Deuteronomy. 6:4-9 "Hear, O Ysryl: Yahweh our Almighty, Yahweh is one! "And you shall love Yahweh your Almighty One with all your heart, and with all your being, and with all your might. "And these Words which I am commanding you today shall be in your heart, and you shall impress them upon your children, and shall speak of them when you sit in your house, and when you walk by the way, and when you lie down, and when you rise up, and shall bind them as a sign on your hand, and they shall be as frontlets between your eyes. "And you shall write them on the doorposts of your house and on your gates. CLICK HERE to See the following "QUOTE" from: MyJewishLeaning.com. "Most scholars, however, think that it was taken from the Canaanite language. The Canaanites were the indigenous people of the land of Israel and they seem frequently to have addressed their individual gods as "my gods." "
Yahshua is His son whom He raised from the dead (resurrected) and anointed and appointed as King to reign for 1,000 years. Subject: Question 3.47: Why is G-d referred to in the plural in the book of Genesis? * G-d wanted to teach a personality trait to man. Therefore, even though He didn't require their input into the decision, G-d turned to the angels and asked them if they would participate. This act of respect thereby became a fundamental feature of human composition. * There are more than one Hebrew nouns that end in "-im" that are not plural. For example, Mayim (water) and Chayyim (Life). The same is true of Elohim. Sometimes the "-im" ending is used to connote power, not plurality. Whatever the grammatical origin of this word, it is used in the Hebrew Bible as a *singular* noun. * Some scholars view the use of Elohim as a plural that expresses an abstract idea (e.g., zekunim, "old age"; neurim, "time of youth"), so that Elohim would really mean "the Divinity." The Trinity in the Schema? Rabbi Stanley Greenberg of Temple Sinai in Philadelphia wrote: "Christians are, of course, entitled to believe in a Trinitarian conception of God. but their effort to base this conception on the Hebrew Bible must fly in the face of the overwhelming testimony of that Bible. Hebrew Scriptures are clear and unequivocal on the oneness of God The Hebrew Bible affirms the one God with unmistakable clarity Monotheism, an uncompromising belief in one God, is the hallmark of the Hebrew Bible, the unwavering affirmation of Judaism and the unshakable faith of the Jew." He went on to say "... under no circumstances can a concept of a plurality of the Godhead or a trinity of the Godhead ever be based upon the Hebrew Bible." "But, in fact, the verb used in the opening verse of Genesis is "bara," which means "he created" - singular. One need not be too profound a student of Hebrew to understand that the opening verse of Genesis clearly speaks of a singular God." As Gesenius, the father of Hebrew grammarians, has said, when Elohim is applied to Yahweh, or any single deity, it is the plural of excellence or majesty, not a plural of beings. The Theological Wordbook of the Old Testament concurs. It says, "The plural ending is usually described as a plural of majesty and not intended as a true plural when used of God. This is seen in the fact that the noun elohim is consistently used with singular verb forms and with adjectives and pronouns in the singular." Is the Hebrew word for God in the plural meaning more than one? Elohim (אלהים) is a Hebrew word which expresses concepts of divinity. It is apparently related to the Hebrew word ēl, though morphologically it consists of the Hebrew word Eloah (אלוה) with a plural suffix. 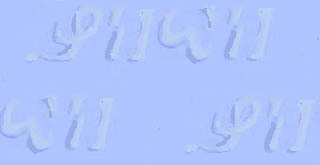 Elohim is the third word in the Hebrew text of Genesis and occurs frequently throughout the Hebrew Bible. Its exact significance is often disputed. In still other cases, the meaning is not clear from the text, but may refer to powerful beings (e.g. Gen. 6:2 the sons of Elohim saw the daughters of men that they were fair; and they took them for wives..., Ex. 4:16 and you [Moses] will be as Elohim to him [Aaron], Ex. 22:28 Thou shalt not curse Elohim, or curse a ruler of your people, where the parallelism suggests that Elohim may refer to human rulers). Genesis 1:26 - Then Elohim said, "Let Us make Mankind in Our image, according to Our likeness—and let them rule over the fish of the sea, and the birds of the heavens, and the beasts, and all the earth, and all the living things that crawl upon the earth." A deep and continuing study of the Scriptures will reveal to the discerning student that ELOHIM is "A god or the God" of anyone who worships a god, or the true God of the Scriptures. The word is NOT the name of a god but is descriptive of the god one worships. When Ruth clung to Naomi who was returning to Bethlehem, she told Naomi..."Thy people shall be my people and THY God MY God". (Ruth 1:16)...... meaning that she would accept whichever "god" Naomi worshiped as the one she would worship. Naomi worshiped the LORD (Jehovah), (the) ELOHIM of Israel. STRONG'S CONCORDANCE describes ELOHIM as follows..."....plural of 433 (Eloah); gods in the ordinary sense; but specially used (in the plural, especially with the article..("the") of the supreme God; occasionally applied by way of deference to magistrates; and sometimes as a superlative; angels...exceeding God (gods), goddess, godly, (very) great, judges, mighty." Exodus 22:20.........."He that sacrificeth unto ANY god (Elohim), save unto THE LORD (Jehovah) ONLY, shall be utterly destroyed.".... PLURAL. Judges 6:31.............."If he be a god (Elohim) let HIM plead for himself"............. SINGULAR. 1 Kings 12:28..... "Behold thy gods..(Elohim), O Israel"...2 calves......... .. PLURAL. Judges16:23........ "Dagon, THEIR god"...(Elohim)...an idol..ÖÖÖÖÖÖ. SINGULAR. Many writers espousing the dogma of the Trinity, claim that the very frequent use of the plural word ELOHIM is strong proof of their claim. However....IF SUCH AN UNSUSTAINABLE CLAIM IS TRUE, THEN OBVIOUSLY THE SINGULAR USE OF THE WORD SHOULD NEVER OCCUR........."IF" GOD..ELOHIM...IS A "PLURALITY" OF 3 PERSONS IN NUMBER, THEN ELOHIM CAN NEVER BE ANY OTHER THAN THAT. We learn from Exodus 3:14, that the name of the almighty .."I WILL BE WHOM I WILL BE"....declares the purpose of a multitude, (see Rev 7:9..."a multitude no man could number")..AND CERTAINLY.NOT A TRINITY. (NOTE: Ex 3:14 contains the incorrect translation, I AM THAT I AM). In fact, where ELOHIM refers to JEHOVAH, IT IS ALMOST ALWAYS IN THE SINGULAR SENSE and thus by claiming ELOHIM TO BE THREE, the dogma of the Trinity is indeed blasphemous, for it alters the simple truth of the Scriptures. When we read the expression..."GOD SAID", we are in fact reading..."GOD..(HE) SAID", and thus, if we are inclined to think of Elohim in the terms of "the plural of majesty", or "the mighty ones", then the term..."GOD (HE) SAID" would have to be read as.."GOD (THEY..the mighty ones) SAID", a term which cannot be vindicated from Scripture. If God is said to have done something or said something, either through an agent or an agent's writing, it is Jehovah who has spoken or who has done that thing. When we read in Genesis 18-1, that the "Lord" appeared unto Abraham, and spoke to him, we are well aware that in fact three angels appeared to Abraham, one of which was chief of the three. That one spoke to Abraham the words of the Father and was thus acting for the Father and thus, by Abraham, he would be called Lord. The Father spoke through this Elohim who was His agent in meeting with Abraham. Gen 26:24...... "I am the God (Elohim) of Abraham". Gen 28:13......"I am the Lord (Jehovah) God (Elohim) of Abraham". Gen 31:5........."The God (Elohim) of my (Jacob's) father". Isaiah 64:8......."O LORD (Jehovah), thou art our Father (Ab)". Mal 2:10........ "Have we not all one father (Ab)...hath not one God (El), created us?". Psa 68:4-5......"Sing to God (Elohim)...His name is the LORD (Yah)...father (Ab) of the fatherless is God (Elohim), in His holy habitation". The Hebrew Word 'Echad' - Is It Singular Or Plural ("Compound Unity")? The following passages that use the Hebrew word 'Echad' most certainly mean one, as in the number one. And Yahweh turned a very strong west wind, which lifted the locusts and drove them into the Red Sea; not a single (Echad) locust was left in all the country of Egypt (Exodus 10:19). For the Yahweh had said to Moshe, "Say to the people of Yisryl, `You are a stiff-necked people; if for a single moment (Echad) I should go up among you, I would consume you.” (Exodus 36:5). ... and her two sons, of whom the name of the one (Echad) was Gershom.” (Exodus 18:3). "Ö..Take one (Echad) young bull and two rams without blemish” (Exodus 29:1). "Then you shall take one (Echad) of the rams, and Aaron and his sons shallÖ” (Exodus 29:15). One (Echad) lamb you shall offer in the morning, andÖ” (Exodus 29:39). one (Echad) young bull, one (Echad) ram, one (Echad) male lamb a year old, for a burnt offering; 16: one (Echad) male goat for a sin offering; (Numbers 7:15). "A single (Echad) witness shall not prevail against a man for any crimeÖ” (Deuteronomy 19:15). So Yahweh caused a deep sleep to fall upon the man, and while he slept took one (Echad) of his ribs and closed up its place with flesh; (Genesis 2:21). And Lamech took two wives; the name of the one (Eahad) was Adah, and the name of the other Zillah (Genesis 4:19). To Eber were born two sons: the name of the one (Echad) was Peleg, for in his days the earth was divided, and his brother's name was Joktan (Genesis 10:25). We are all sons of one (Echad) man, we are honest men, your servants are not spies." (Genesis 42:11). And they said, "We, your servants, are twelve brothers, the sons of one (Echad) man in the land of Canaan; and behold, the youngest is this day with our father, and one (Echad) is no more." (Genesis 42:13). ... if you are honest men, let one (Echad) of your brothers (Genesis 42:19). ... we are twelve brothers, sons of our father; one (Echad) is no more, and the youngest is this day with our father in the land of Canaan.' (Genesis 42:32). And the priest shall take one (Echad) of the male lambs, and offer it for a guilt offering (Leviticaus 14:12). Ö then he shall take one (Echad) male lamb for a guilt offering to be waved (Leviticus 14:21). ... also two turtledoves or two young pigeons,..the one (Echad) shall be a sin offering and the other a burnt offering (Leviticus 14:22). And he shall take from the congregation of the people of Israel two male goats for a sin offering, and one (Echad) ram for a burnt offering (Leviticus 16:5). And you shall offer one (Echad) male goat for a sin offering, and two male lambs a year old as a sacrifice of peace offerings Leviticus 23:19). ... and he shall offer his gift to Yahweh, one (Echad) male lamb a year old without blemish for a burnt offering, and one (Echad) ewe lamb a year old without blemish as a sin offering, and one (Echad) ram without blemish as a peace offering, (Numbers 6:14). For Yahweh had said to Moshe, "Say to the people of Yisryl,`You are a stiff-necked people; if for a single moment (Echad) I should go up among you, I would consume you.” (Exodus 33:5). Is the Word Allah Similar to Elohim? Is the Trinity Found in the Torah?